* AUTOMOBILE: Suzuki Motorcycle India is no longer looking at South India for its second manufacturing plant, and will remain in the North for the upcoming facility. * AVIATION: The government has set up a committee to sell Air India's prime building at Nariman Point in Mumbai to Jawaharlal Nehru Port Trust, Nitin Gadkari said. With an aim to tap the leisure travellers out of India, Vistara plans to connect Sri Lanka and Maldives from Delhi, and Thailand from Delhi and Kolkata before October this year. - Airbus is closing in on a blockbuster agreement to sell $23 bln worth of aircraft, based on list prices, to AirAsia Group Bhd. Air India is likely to change the reporting structure of the crew management system as a fallout of the rostering scam, which resulted in significant losses for the national carrier. * BANKING: A company bidding for a stressed asset in the same sector in which it is operating will now have to get the Competition Commission of India's approval ahead of finalisation of bids during insolvency process. The finance ministry may approach markets regulator SEBI to seek relaxation on the minimum 25% public shareholding norm for some public sector banks. * COAL: The coal sector is poised for a round of business-friendly reforms after being opened up for private commercial mining. * CORPORATE: The government is looking to decriminalise some of the offences in the Companies Act of 2013 so that courts are freed of these cases to focus on more important ones. The operating companies of Tata Group have to be run as per the wishes of majority shareholders, Tata Trusts, which has more than two-thirds stake of the holding company Tata Sons. * ECONOMY: As part of the initiative to enhance ease of doing business in India, the government is considering setting up a committee to suggest ways to reduce harassment in prosecution for violation of company law. 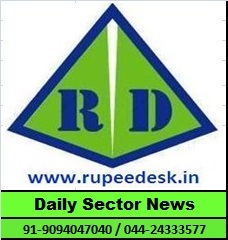 * ENERGY: ACME Solar has once again emerged the lowest bidder at 2.44 rupees a unit in the reverse auction of Interstate Transmission System-connected solar projects conducted by the Solar Energy Corp of India. * FINANCE: The Centre may relax the eligibility criteria for non-banking finance companies under the MUDRA, which could help increase the uptake of loans under the scheme. * INFORMATION TECHNOLOGY: The US administration has empowered officials to outright reject visa applications under certain circumstances. The Supreme Court has sought the Centre's response to a petition against setting up social media communication hubs in every district of the country, purportedly for gathering feedback on the performance of government schemes. * INFRASTRUCTURE: Around 224 projects worth 2.30 trln rupees, which are being undertaken under the government's Sagarmala scheme, are likely to be completed before December, Nitin Gadkari said. Indian infrastructure and EPC companies are likely to participate in upcoming tenders for non-critical works at the $12.6-bln Rooppur Nuclear Power Plant in Bangladesh, as construction of the second 1200-MW unit of the plant kicked-off. * OIL AND GAS: Essar Oil & Gas Exploration and Production is under the government's scanner for allegedly drawing gas outside its licensed area at Raniganj in West Bengal. * REGULATORY: SEBI is planning to tighten the norms governing auditors, chartered accountants, company secretaries, valuers and monitoring agencies that undertake third-party fiduciary assignments under the securities laws. * TAXATION: The income-tax department has invited comments on 'revenue' and 'user' threshold for constituting significant economic presence for taxing non-resident Indians. * TELECOMMUNICATION: Telecom companies have warned the government that delicensing of V band spectrum would enable unlicensed entities to offer fifth generation mobile Internet services, and in turn, undermine the huge existing investments of licensed carriers.